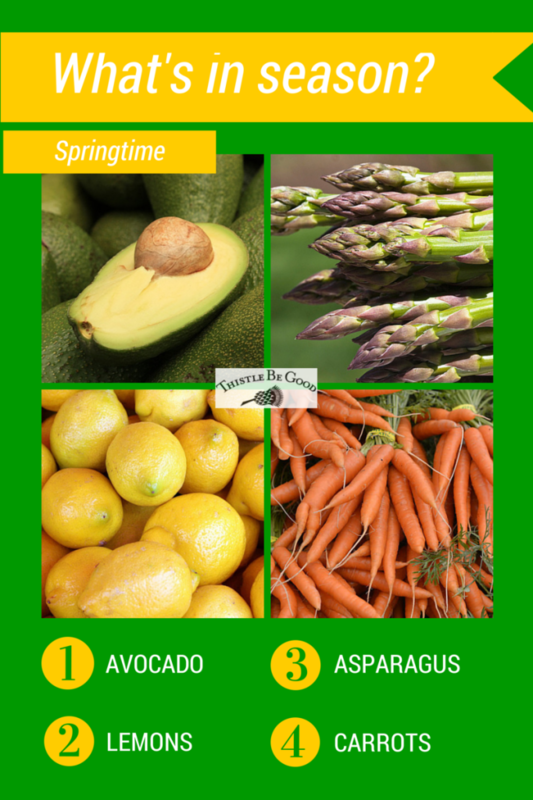 Look at what’s in season for spring! It’s just starting to warm up now and it is an exciting time of the year for our palate as we get a range of new seasonal fruits and vegetables to cook with. Here is a selection of four that I particularly love to add to the Thistle Be Good range of products. I love to add diced avocado to any of the couscous or quinoa blends; it just works! It’s such an easy thing to make such a healthy recipe! Ooh, asparagus! I always think that this is food for Royals – so tender and delicious! Lightly steam and add to the top of the Grean Pea, Lemon and Mint risotto for a dish fit for king! Lemons, well, what can I say? Anything is better with a squish of lemon juice I think! Especially the Sundried Tomato and Kalamata Olive quinoa when made in to a delicious gluten free tabouleh! Enjoy the beautiful Spring veggies every way you can – your body will thank you for it!